The Village of Floral Park board voted Tuesday night to approve three local laws defining, regulating and zoning potential medical and recreational marijuana dispensaries. 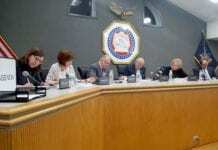 The board overall expressed opposition to the potential legalization of the substance. “If we could ban it we would,” Mayor Dominick Longobardi said in reference to the use of recreational marijuana in Floral Park. But, Longobardi said, the board would have to settle for the restrictions that it could place in the village. Gov. Andrew Cuomo recently named the legalization of recreational marijuana in the state as one of his top priorities in 2019. The three laws were approved unanimously by the board. The first amended the village’s code to prohibit the commercial solicitation of potential marijuana dispensaries, the second further defined marijuana and marijuana-related products, and the third restricted any potentially dispensaries, medical or recreational, to only opening and operating in the village’s “B-3” district. The B-3 district, designated for strictly commercial uses, includes light manufacturing, gas stations and auto repair shops, among others. Additional restrictions include dispensaries not being located within 200 feet of any residential areas, within 250 feet of any schools or places of worship, parks and playgrounds, or within one-quarter of a mile of another dispensary. 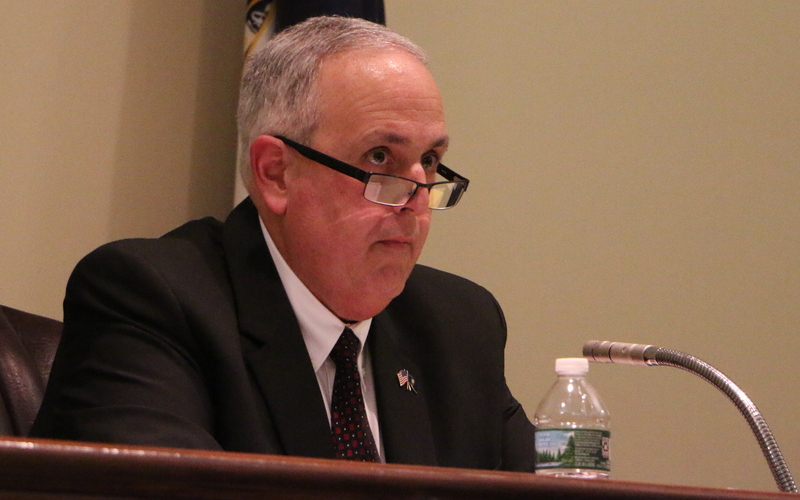 Lt. William Doherty of the Floral Park Police Department said he was expressing his own opinion when he stood before the village’s Board of Trustees and explained the potential problems with legalized marijuana. “It has been determined to be addictive and harmful by the World Health Organization, the American Medical Association, the American Association of Pediatric Psychologists, the National Institute of Health, the National Academy of Sciences … in Colorado there was a 62 percent increase in traffic fatalities the first year it was legalized,” Doherty said. Doherty, a lifelong educator in drug use with the public school system, said, however, that it is not the department’s place to take a political stand on the potential state legalization of recreational marijuana, and that he only wanted to point out the consequences the substance may bring. “This is not by any means the choice, if we had a choice to make, to legalize it in any area within our village,” Pombonyo said. Trustee Archie Cheng added that the village’s ability to create its own zoning laws is a way to protect the residents from state legislation, which the board overall disagrees with. Floral Park resident Kathy Lowlee said that while she does not know if she necessarily agrees or disagrees with the board, she wanted to share an effective experience about the use of medicinal marijuana, through her nephew, a 20-year-old diagnosed with autism. To her and her family, the use of medical marijuana has made a very positive difference in his life, she said. The Floral Park Police Department…. ha ha ha ha ha ha !!! !